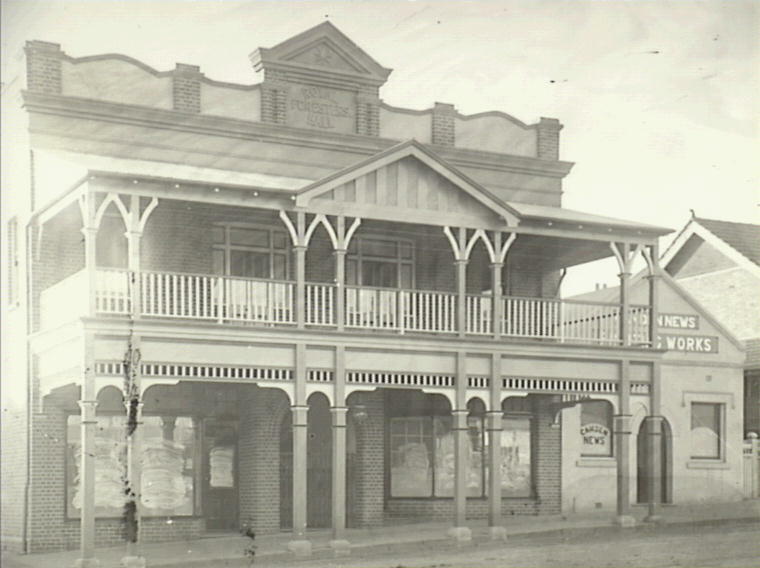 The centre of nightlife in many country towns in the early twentieth century was the local cinema or picture show. Two such establishments serviced Camden and surrounding areas during the first half of last century. The first was a converted hall placed prominently on Argyle Street. Number 147 was originally built in 1908 for The Ancient Order of Foresters Lodge, a fraternal organisation, but in June 1914 it became the Camden Star Pictures. Around 1930 the site became the Empire Movie Picture Theatre, although it was only the name that changed (Mylrea, 2007). Old Foresters Hall at 147 Argyle Street. Entrance to Empire Theatre at the centre with shops either side. Camden News Printing Works office to right. 1920. Copyright: Camden Historical Society. During its time as the Star, the prime novelty was the length of a feature. Promoting both the film and the technology, films were advertised as “seven lighting reels long”, or others as being “8,000 feet long!” (Wrigley, 2004). After the name change to the Empire, the new feature was ‘Talkies’, the move from the silent cinema to something more akin to the contemporary experience. However, the advertisements reveal the novelty of the experience, proudly claiming that features were “All Music—All Sound—All Dialogue” (Wrigley, 2004). The Empire closed in May 1933, after a severe fire swept the building. The cause was not determined, but the cinema never reopened (Mylrea, 2007). It has since become well known in town as the site of the Retravision store and now Treasures on Argyle. The purpose built Paramount Cinema on Elizabeth Street. 1933. Copyright: Camden Historical Society. The other cinema was the Paramount, which opened in February 1933. Where the Star and Empire were retrofitted as cinemas, the Paramount was purpose built. It brought with it the glitz of Hollywood, featuring a grand frontage, palm trees, ornate plaster interior, and velvet red curtains (Wrigley, 2004). There was also a change in what drew people to the cinema. Gone were the technological gimmicks and in were the stars of the Golden Age of Hollywood. This was the time of Clark Gable, Joan Crawford, William Powell, the Marx Brothers, and John Wayne. Bob Thrower, a resident in the north of the area, remembers seeing two pictures, Desperate Journey and Captain Bligh, with the most notable memory being that they both starred Errol Flynn (Thrower, 2004). 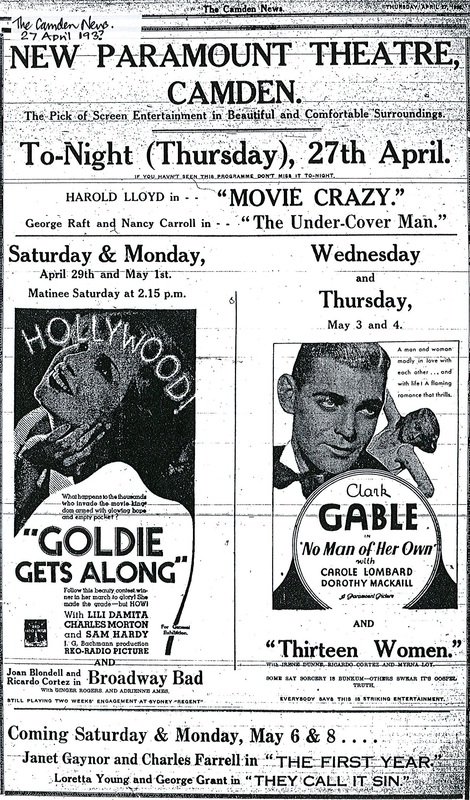 Paramount Cinema advertisement, prominently featuring stars like Clark Gable. c.1933. Copyright: Camden Council Library Service. The Paramount would continue to operate until 1961, when, due to the growing and costly appeal of television, cinema in general, but particularly small local picture theatres, began to experience declining business. The premise would become a tyre service centre, remaining so to this day. The duty of providing the area with its cinematic needs would be covered by United Cinemas in the Narellan Town Centre, which opened in 2008. But Camden’s connection with Hollywood continued, with it gaining starring roles in many films during the twenty-first century, from Baz Luhrmann’s Australia, Seven’s A Place to Call Home, and most recently Angelina Jolie’s directorial debut Unbroken. Mylrea, P. (2007). The birth, growth and demise of local picture theatres. Back then. The District Reporter. Thrower, B. (2014). Interview by Jo Oliver. Camden Council Library Service, Camden. Wrigley, J. (2004). Meet me at the flicks in Camden and bring the Jaffas. Back then. The District Reporter. This is just so my time!. I remember when the Fox family operated the Paramount Cinema and at the matinee Mrs. Fox (the lessee/owner?) always made sure the money we paid over at the box office was genuine by tapping it once or twice. The Pinkerton family seemed to have the rights to the milk bar refreshment bar. Bookings for the movies could be made at Bett’s shop opposite the Empire Theatre. 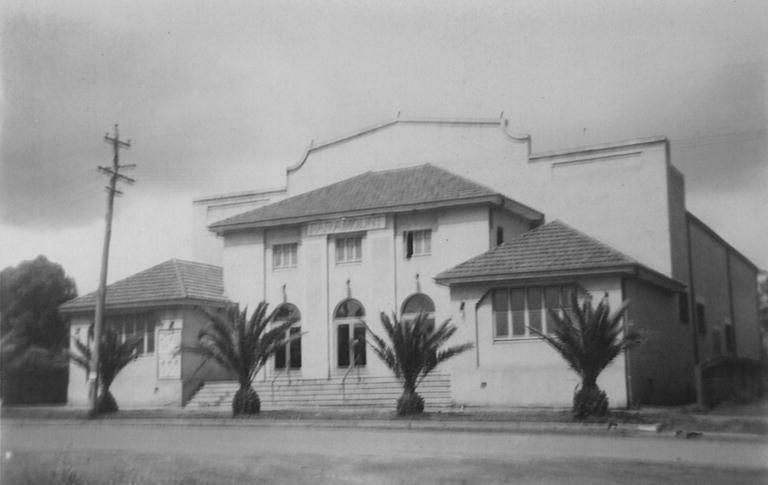 In late 1930s and during 1940s my sister and I attended Physical Culture/dancing/elocution lessons in the Empire Hall. The end of year concert was one of the main events in Camden. Miss Claire Stroud was the dance instructor and Miss Deftlys was in charge of the elocution. With my family I attended many concerts in the Paramount Cinema which were usually in aid of the War Effort. (WW11). Mrs. Min Kelloway (Stan Kelloway – a former Mayor’s wife) often played for artists at these events.